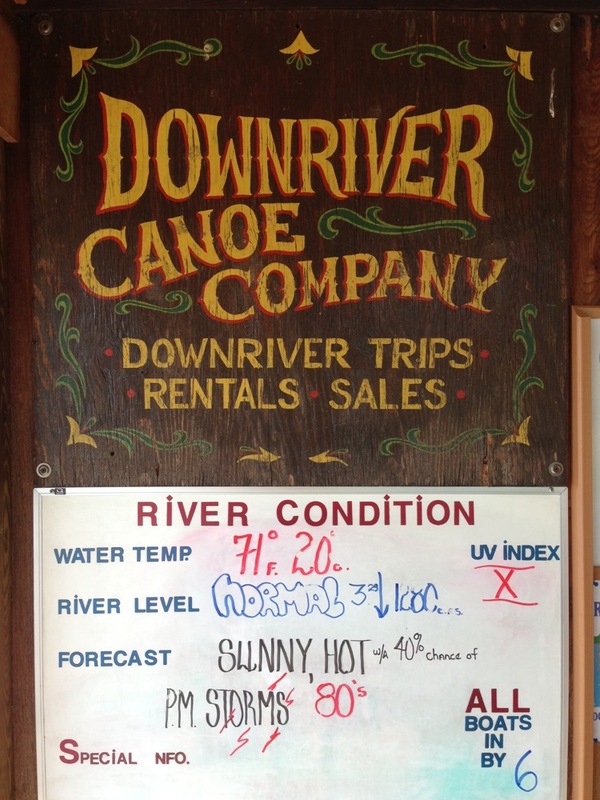 emotional rescue: downriver canoe company. | i love my burg. 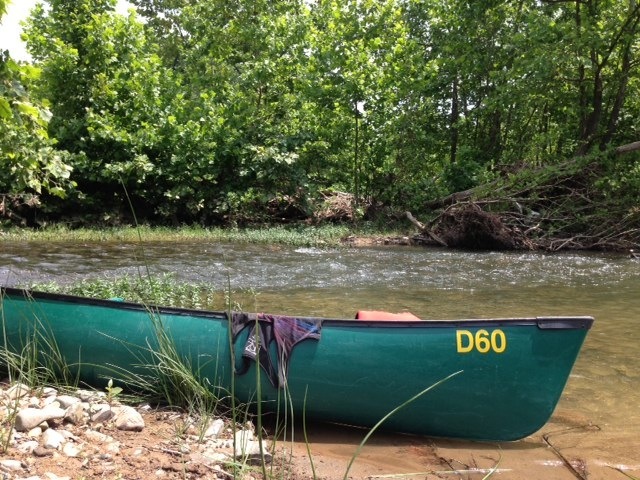 emotional rescue: downriver canoe company. I forget exactly when the tradition started. Brandy and I always go canoeing every summer when school lets out. Just us — no one else — so we can freely express all our pent up frustrations in an all-out whine-fest that no one else has to listen to. And if we happen to fling a “colorful” word here or there, it echoes through the trees and disappears under the roar of the river. We leave ten months of irritations in our wake. It’s cathartic. I bet the river holds thousands of secrets. This year we had to multitask on our canoe day because everyone’s schedule was crazy. Brandy and I, plus like seventeen other people in our lives, both have June birthdays, so we decided to go canoeing in the morning and out to dinner with friends and loved ones in the evening. Once there, cooler in tow, phones and Triscuits in waterproof bags, sunscreen sufficiently slathered, we got fitted for our life vests (a.k.a., canoe seat cushions) and delivered by a friendly employee upriver. Horrified, I clumsily ran to her (on slippery river rocks, through swiftly flowing waters) while she yelled, “What just happened? !” and pointed at her head. Thankfully, she wasn’t bleeding. Just a small goose egg and what we’ve since deemed the PBR Concussion. 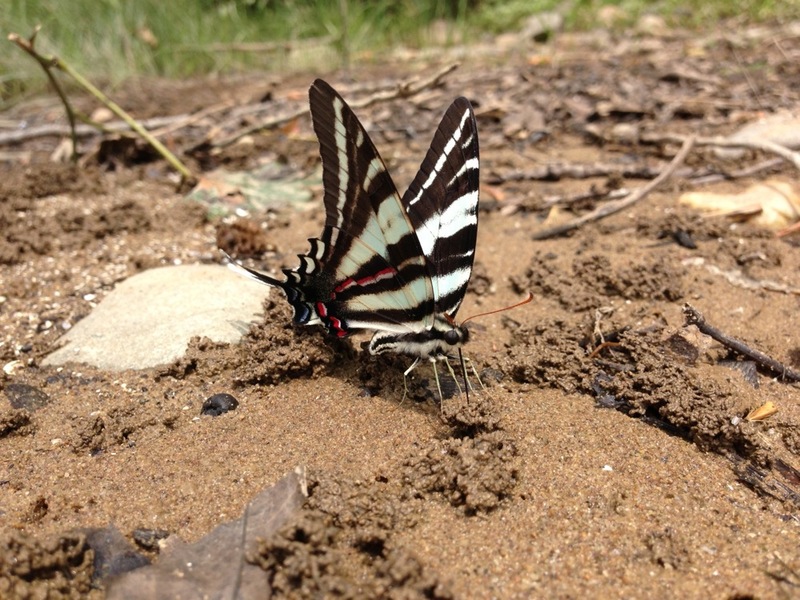 We stopped again and saw this unusual butterfly. It seemed aggravated that we were there. It was clearly feeding on some little buggers that burrowed tiny holes in the sand. And quite frankly, it didn’t look like your typical Virginia butterfly. We decided it must be an invader from afar, named it the Global Death Butterfly, and got back in the canoe. We came to a fork in the river that led to a shady, tree-lined area. We both were like, “Oooooo, it looks cute in there!” and we paddled in. It was a bit narrow and we sort of drifted into a large tree, and like some scene from Middle Earth or something, about twenty spiders rained down on Brandy’s PBR concussion head. Then there was squealing and jumping and stomping and more phone clutching and near boat flipping. And we got the heck out of there and back to the serenity of the wide open river. We were maybe half a mile from the end when we stopped for another break. By now it was pretty hot and it felt good to submerge myself into the cool water. That is, until I realized we’d stopped in some kind of mayfly breeding ground. When I stood up, I was dotted from my hips to my neck in little bitty baby bugs. I felt bad squishing them in the process of getting them off of me, but ew. And so we finally arrived at the end. 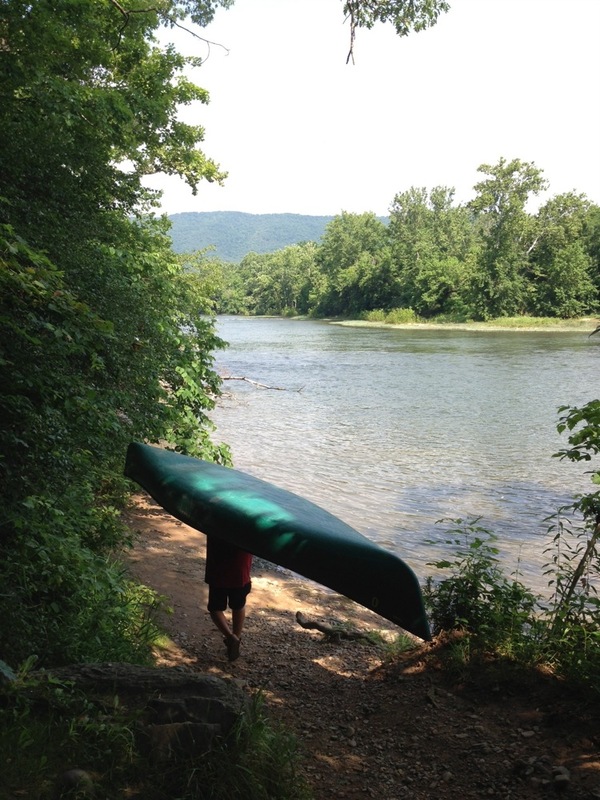 We parked the canoe on the river bank (they come down and get it for you), and walked back up to the car. We learned a few things. 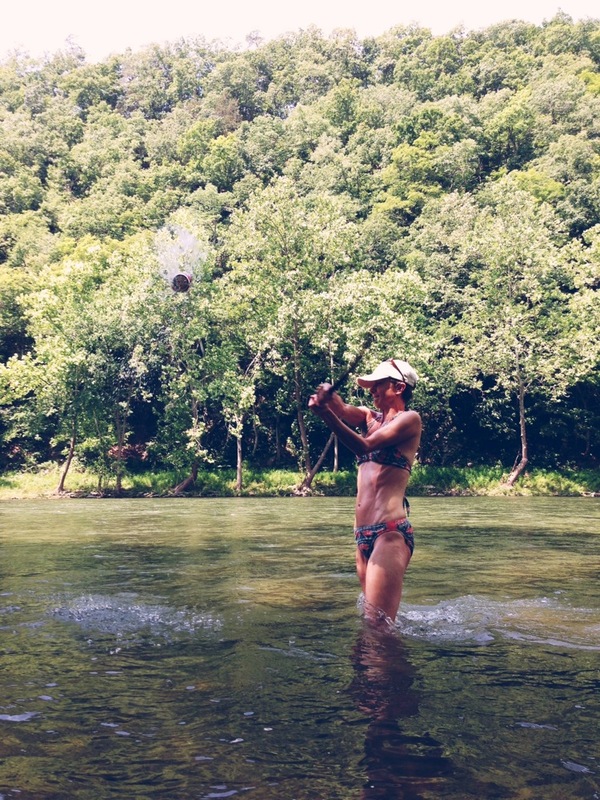 1) The river is like a big eraser, and we all need that from time to time. 2) Stand farther away from the pitcher when playing PBR Baseball. Helmets are also advised. 3) Don’t wander into a narrow area just because it looks “cute.” Raccoons are cute, too, but they will mess you up, girl. 4) Bald eagles and Global Death Butterflies really exist. We saw both. By the way, we made it to dinner on time. Thank you, River, for squishy mud between our toes, for exotic animals and mild injuries, for a much-needed emotional massage, and for your timeless voice that silences everything else. See you again soon. This entry was posted in events, kids by junebug. Bookmark the permalink. This is too funny – my son and I took a similar trip with 4 moms and about 6 kids (I have forgotten exactly how many) when he graduated from middle school. Our adventure included really low/slow river conditions due to lack of rain so what should have been a 3-4 hour trip became a 6-8 hr. trip. There was a wolf spider, a thunder and lightening storm (which entailed squatting in a soybean field in order to stay away from the water and trees), and some “quicksand” in the river bottom that swallowed one of my flip flops. As I recall, he got an “A” grade when he wrote an essay about it entitled “The Worst Day of my Life”. Even though my son does not seem too keen on taking another canoe trip, I’d never turn down a day on the water – bring on the adventure! Pingback: ding dang delicious: local chop and grill house. | i love my burg.